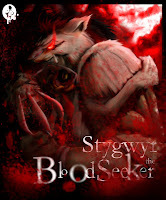 Strygwyr the Bloodseeker is a ritually sanctioned hunter, Hound of the Flayed Twins, sent down from the mist-shrouded peaks of Xhacatocatl in search of blood. The Flayed Ones require oceanic amounts of blood to keep them sated and placated, and would soon drain their mountain empire of its populace if the priests of the high plateaus did not appease them. Strygwyr therefore goes out in search of carnage. 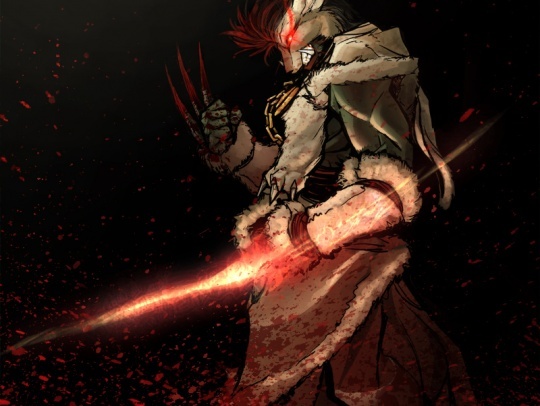 The vital energy of any blood he lets, flows immediately to the Twins through the sacred markings on his weapons and armor. Over the years, he has come to embody the energy of a vicious hound; in battle he is savage as a jackal. Beneath the Mask of the Bloodseeker, in the rush of bloody quenching, it is said that you can sometime see the features of the Flayers taking direct possession of their Hound. 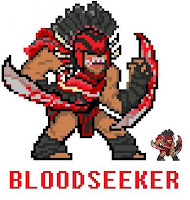 Bloodseeker is a hero that is noted for blood for all of his activities. From killing creeps until his ultimate that will continuously drain blood from his target. He can detect enemies that the HP is low and can chase him using a very high movement speed. He also is a silencer that can make his target can't use spells. Bloodseeker, from his name we know that he is always thirst of blood. Drives a unit into a bloodthirsty rage, during which it has higher attack damage, but cannot cast spells and takes damage every second. Strygwyr shares his animalistic thirst for bloodshed. This skill is a double edged sword. This skill gives damage while also Silencing the target and deal DPS to the target. On early game, you can cast this to harass a target, or make him can't use his skill. On mid game, it is a perfect skill to use on a hero after you use your rupture on him. That will make him can't use skill and if he run, he will loss his health. On late game, you can use this to yourself and increase your damage like crazy. Always remember that if you do this on enemy, he will receive additional damage, be careful to use it on some carry who the damage is depend on physical attack like Magina, Ursa etc. because it will be a backfire. Also don't use it on self on early game to maintain your health. 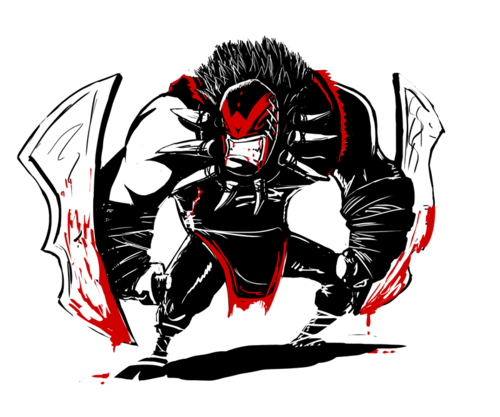 Bloodseeker revels in combat, gaining health with every unit he kills. The health gained is a percentage of the killed unit's maximum HP. 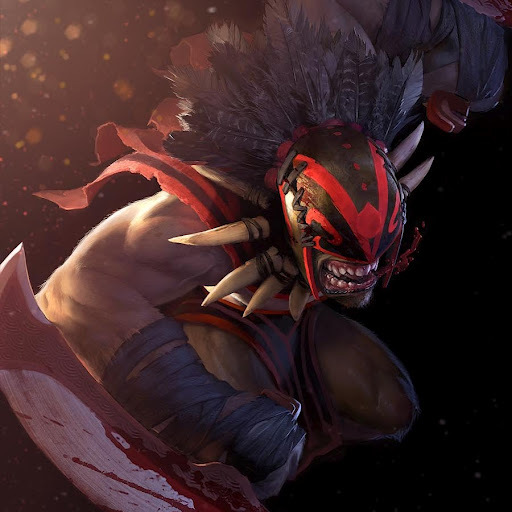 If a hero dies within a radius of 225 of Bloodseeker and he is not the killer, he is healed for half the normal hero kill effect. 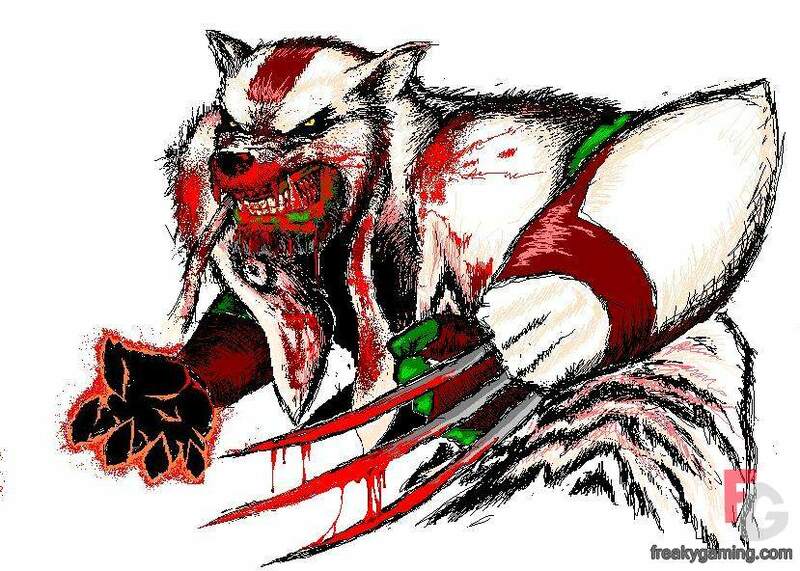 Flayed ones bathing in the blood of the recently fallen is a terrifying sight on the field of battle. This skill makes you to get some HP if you successfully kill creeps or hero. This can help you to maintain your HP to always full on early game. And this also will helps you become a jungler and not killed by neutrals. If you catach a target and you are on a low HP, this skill can helps you to recover your HP. 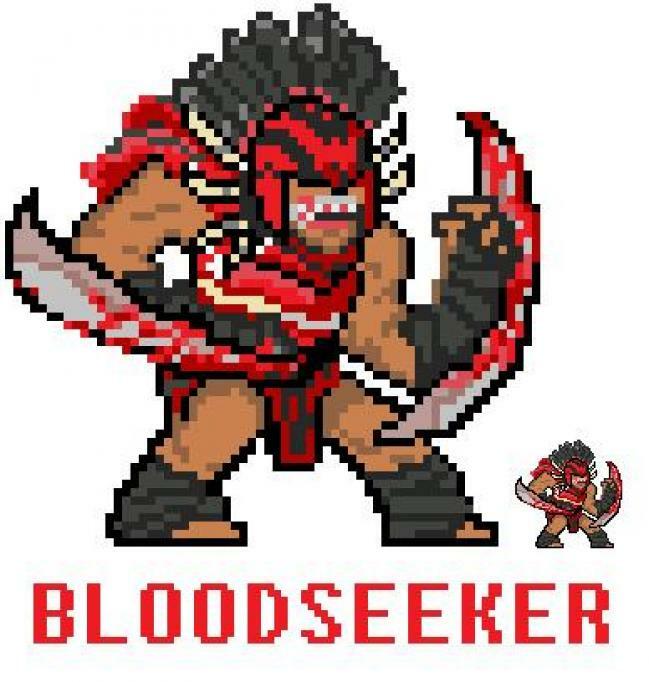 Enables Bloodseeker to sense enemy Heroes with health below a certain percentage, giving him vision of that unit and increased movement speed. Bloodseeker gains True Sight of enemy heroes below half their visiblity threshold. Strygwyr becomes frenzied when blood is spilled. This is your detector skill. If there is an enemy who is low HP. he will be visible in the in your eyes. Go to him and use Rupture immediately to kill him. Also use Bloodrage to Silence him. This way your team can get an easy kill. Causes an enemy unit's skin to rupture, dealing massive damage. If the unit moves while under the effect of Rupture, it takes a percentage of the distance traveled as damage. When the Bloodseeker hunts you, injuries become fatalities. This skill is what makes you called a Bloodseeker. This is the trademark of you. All enemies are afraid of this skill because they don't like to be targetted by Rupture. Because it will difficult to him who is your target, Enamy will face a difficult siuation to run and HP become 0 or to stay and get harassed by you and your team. Use this to your target who are away from his tower so he must run and cannot run. And now with the latest update, Rupture affects a magic immune unit, and this makes you become so much powerful, because you can use Rupture on Bkb-ed unit. Why take Blood Bath for level 1? You need this to maintain your HP. 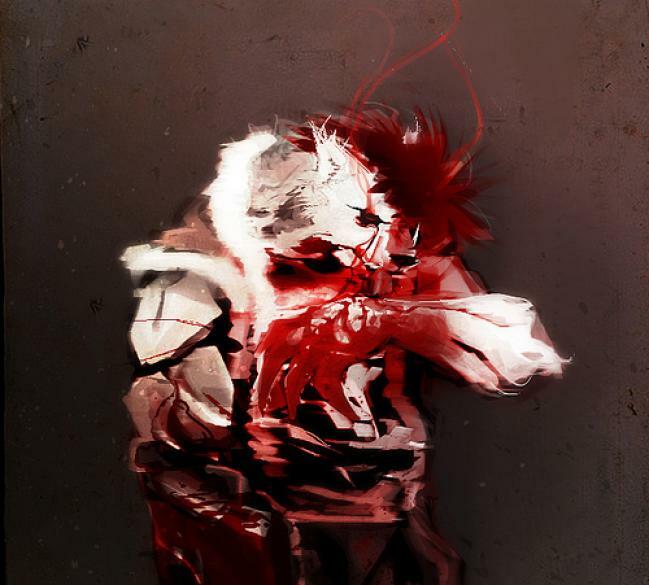 Keep alive by absorbing the blood by getting last hits and denies. Why maxing Bloodbath and Bloodrage together? Bloodbath and Bloodrage is your main skill for early game. 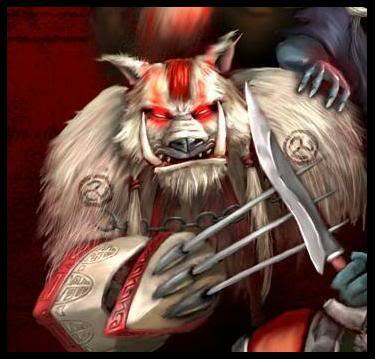 Bloodbath is needed to maintain HP by lasthits the creeps while Bloodrage needed to harass enemies. Bloodbath can also useful for jungling. Jungling will faster your earnings. On early game, You need to increase Thirst by 1 level to give you the sighting ability if there are any enemy who is on a low HP. And then your team will know it and can kill him. This will also increase your movement speed while chasing your taget which is on a low HP. Keep your health always full by always last hitting and denying the creeps using Bloodbath. Your enemy will have a hard time harassing you because you can always fulfill your HP using Bloodbath. Quelling blade also comes in handy here. With quelling blade, it is easier to get the last hits because it gives additional damage to creeps. Quelling blades makes your gold and HP always good on early game. You can also harass their nuker with Bloorage. It will deals small damage. If you are by a sudden being ganked, quickly press the Bloodrage and use it to the ganker. Bloodrage silences the enemy. A good defense for early game. In this stage of the game, you should already learned Rupture. This skill is one of the most feared skill in DotA. You cast this on your enemy, and he will be depressed because if he move he will loss the blood, and if he not moving, you and your friends will kill him. Be careful not to use Rupture near their tower because the tower can defend the hero youa are targetting. And of course if he already to far diving near your tower, cast Rupture there, and he will suffer from tower or the Rupture. Blade Mail is one of the good alternative here. Because now your enemy can't attack you or use his skills. Or force staff: It will force your target to move and lose his blood. Jungling is one of your option. Because you have the Bloodbath, you can always fulfill your Hp by killing the Neutrals. Late game depends on your performance on early-mid game. If you already get many kills using Rupture on early-mid game, then late game will be easy for you. That is because you already have the nice items you need to be good on late game. You may buy some items like Radiance or Butterfly or some DPS items. All items of that are good for you. You considered a carry on a late game, so us eyour potential wisely. It is recommended to use Bloodrage on self. It will increase your damage by 120%. A decent increase for a late game. It will gives 100+ damages on late game. Use your with focusing on a target, and if he already dead or become too far, the you should chane your target. The key of a successful carry is to can click ok enemy while in crowds, and not clicking the creeps. Why Quelling Blade? Makes you easier to lasthit every creeps. With easier last hits, you can maintain your HP to always full, thanks to Bloodbath. With this item, your farming ability become more powerful. You can last hits easily or jungling easily. Passive: Greater Maim - Gives a chance on attack to slow movement speed for 4.0 seconds. Why Sange & Yasha? It will makes you more tanky, more damage, more attack speed and more movement speed + gives a slower with you attack. Very good item for a carry-chaser like you. Why Blade Mail? After you use Rupture on your target, there is no choice for your target, and he should fight you, then with this item, you will reflect his own damage to damaging him! Use this for your Ruptured enemy. He then will forced to move and automatically loss his blood. ForceStaff is useful on many purposes, you can initiate a teamfight with ForceStaff, or you can save somebody, or you can save yourself. Why Battlefury? It is your job to deal a damage to all of the enemy. This items gives you an AoE attack that will deal damage to all the enemy. 10. You can increase your DPS more. Choose your own DPS items.As a carry, damage is your priority. The agility will increase your backstab damage more. and also: It gives you more damage and more attack speed that makes you become much more powerful. It also gives evasion to helps you survive in teamfight. Butterfly is always a good item for a carry. You have a combo with this hero, he have a Life Drain that need the target to stand still to deal damage, and you have Rupture that needs enemy to move to deal damage. The if these 2 skills is casted together on a target, then he can't run because of Rupture, and he also can't stand still because of Life Drain, how's that! Pudge: Ruptured target is forced to move because is being pulled by this hero. A nice combo. Venge: Her Swp makes the ruptured target to move 1200 range. So good Rupture damage will be achieved. Batrider: His lasso can pull enemy. They have the large HP and hard to solo kill them. Ruptured target move? you can feel the damage too. Please update the third skill of bs. Now constantly 50% of hp threhold and increase the damage of bs.